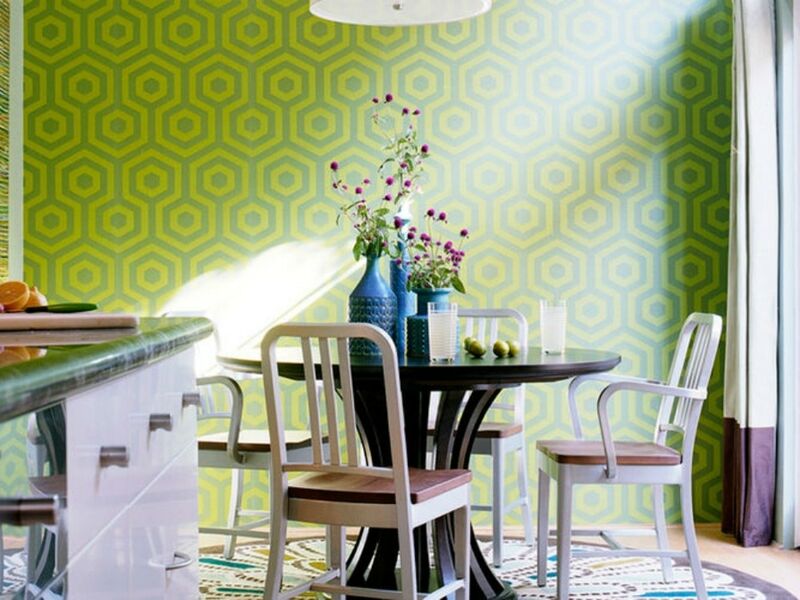 Finding a dining room rug that is both practical and stylish is no easy feat. Fluffy pile can permanently trap every crumb from the table. Too-small rugs can trip up chairs. But a good rug can bring color, texture, warmth and style to the dining room—making the hunt well worth the effort. Read on for 10 tips for choosing the just-right rug for this hardworking room. 1. Err on the side of too big. A dining room rug should have at least 24 inches of extra room on all sides of the dining table to allow enough space for guests to pull out chairs without tripping over the rug. An even wider border is ideal. To be sure you are getting the correct size rug, measure your dining table, add 24 inches or more on each side and mark the area directly on the floor with painter’s tape. If the marked areas falls well inside your other dining room furniture (buffet, bar cart), consider sizing up. 2. Pick a flat weave or short pile rug. 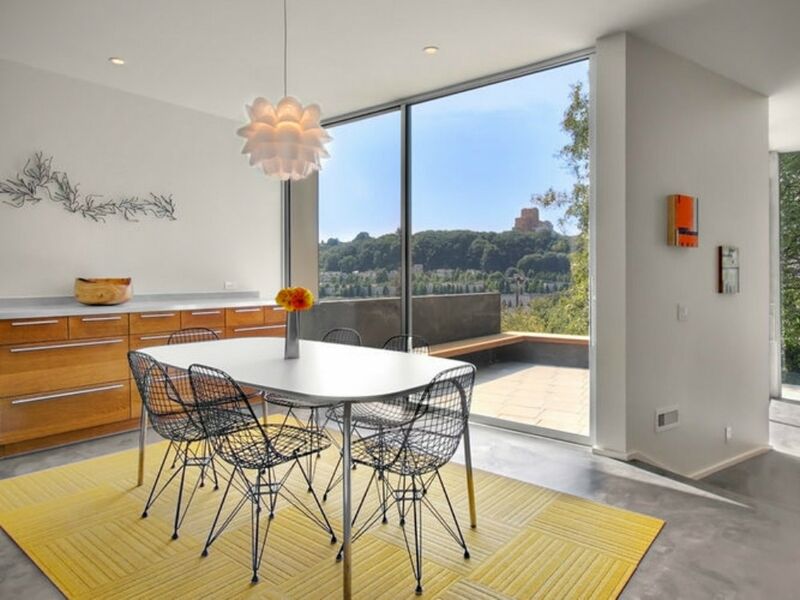 Because spills are inevitable, and the ease with which you can pull a chair back is important, flat-weave or low-pile rugs are the practical choice in the dining room. Keep the shag rugs, Moroccan carpets and other thick, fluffy rugs in the living room, where they will require less cleaning and maintenance. 3. Use the rug as a jumping-off point for decorating. If the rug is one of your first purchases for the dining room, you can use it to set the tone for the space and develop a color scheme. Pull the lightest or background color from the rug to use as a wall color, and bring in a bolder hue from the rug as an accent in the room, on chair cushions or in artwork. 4. Choose easy-clean materials. Generally, pure natural fibers like cotton and wool are the simplest to clean at home, and synthetic blends are the most difficult. The exception are indoor-outdoor and stain-resistant rugs that are made to withstand scrubbing. 5. Try carpet tiles. These interlocking carpet squares can be configured in whatever size and shape you need, and come in a wide range of hues, patterns and textures. What makes them a smart choice for the dining room? If a stain sets into one square, you can replace it without buying a whole new rug. 6. Feel before you buy a natural fiber rug. With an affordable price tag, great texture and classic look, natural fiber rugs—including sisal, jute and sea grass—have a lot going for them. But where natural fibers like cotton and wool tend to be easy to clean, these natural materials can prove to be trickier. The key lies in the texture of the rug—the finer and smoother it is, the easier it will be to clean. On the other hand, it can be nearly impossible to remove ground-in food from really nubby natural fiber rugs. Consider yourself warned! 7. Match rug shape to room shape. Have a square dining room? Try a square or round rug. Rectangular room? Use a rectangular rug. Echoing the shape of the room with your rug brings a pleasing feeling of order to a space. 8. Match rug shape to table shape. Round dining tables look great with round or square rugs. 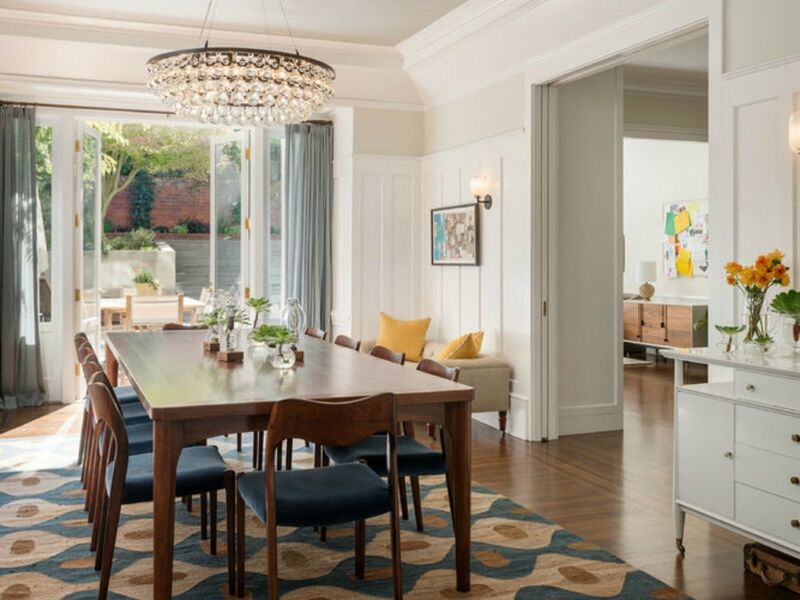 Rectangular and oval dining tables work well with rectangular rugs. Square dining tables tend to work best with square rugs, though a round rug could work for a more playful feel. 9. Avoid light hues. 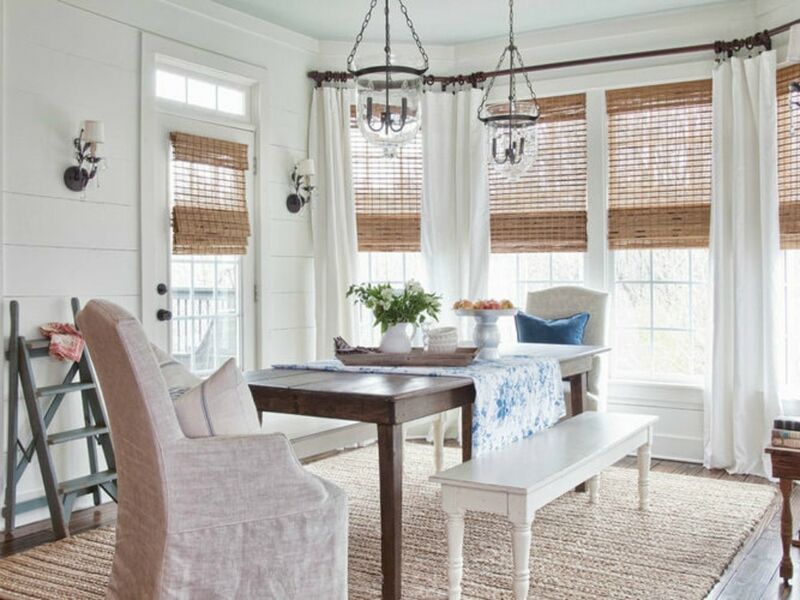 Unless you use your dining room more as a workspace than for dinner parties, it’s probably best to avoid white and light-colored rugs in this space (as beautiful as they look). Of course, white is not the only rug color to watch out for. Any pale hue is going to show dirt and spots sooner than deeper, richer colors. 10. Look at the larger space. 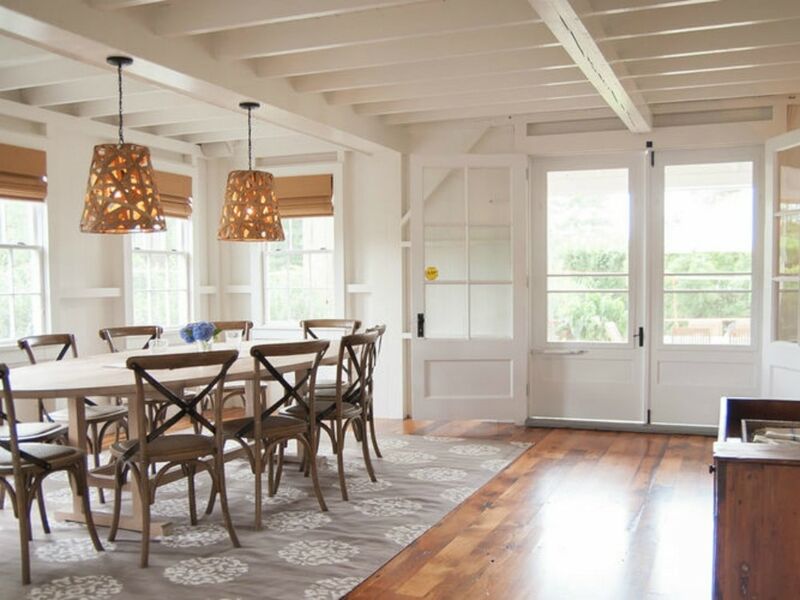 When choosing a color and pattern for your dining room rug, look at it as a piece in the larger puzzle of your space. What color are your dining chairs and table, light fixtures, flooring, and wall color? 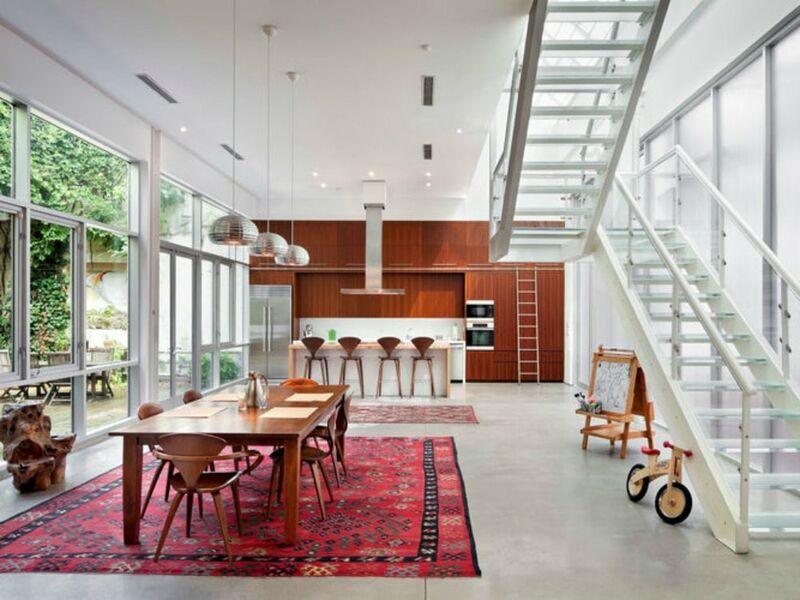 If you have an open floor plan, what other rugs are you already using in the space? The rug you ultimately choose should fit naturally with these other pieces.